I spent a week in the magnificent city of Lisbon attending the annual European PostgeSQL Conference. 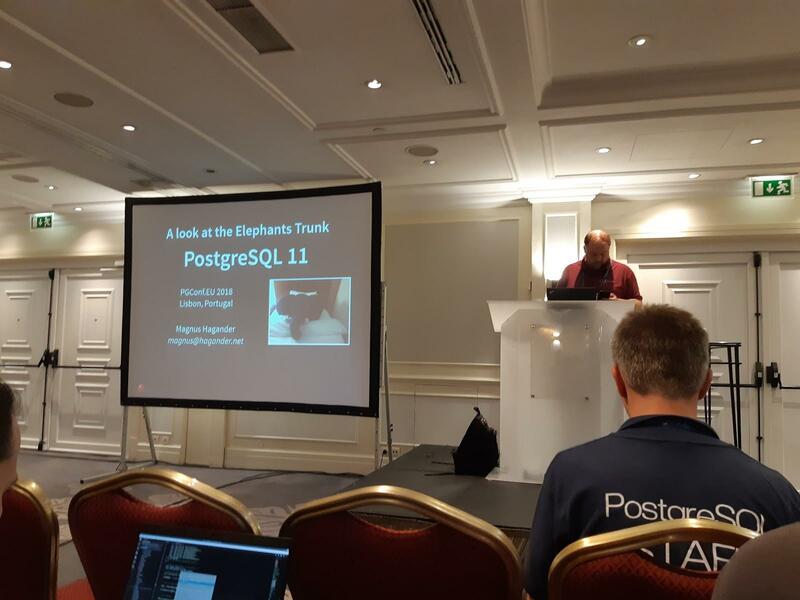 This marked the 10th anniversary since the first European PostgreSQL conference and my sixth time attending. The city was great, the atmosphere was great and it seemed that it would be a very productive and informative week full of interesting conversations with intelligent and friendly people. So basically the very first cool thing I learned in Lisbon is how great Lisbon and Portugal are, but I guess you came here for the rest of the story! by Kaarel Moppel (Cybertec). One thing I noted was the setting of shared_buffers. Since shared_buffers actually competes or complements system’s cache it shouldn’t be set to any value between 25% and 75% of the total RAM available. So while, in general, the recommended setting for typical workloads is 25% of RAM, it could be set to >= 75% for special cases, but not in between. beware of vm.overcommit_memory, you better disable it by setting it to 2. Set vm.overcommit_ratio to about 80. Shared global data or in other words a central system for maintaining global data and parameters (such as currencies, stocks, market/commodity values, weather, etc) which publishes to one or more subscribers. Then these data are maintained only in one system but available in all subscribers. pg_stat_statements supports queryid of 64-bit. partitions might be foreign tables in different foreign servers. This opens up great possibilities for finer grained sharding. This is still not in 11, but it sounds so promising that I had to include it in the list of cool things. 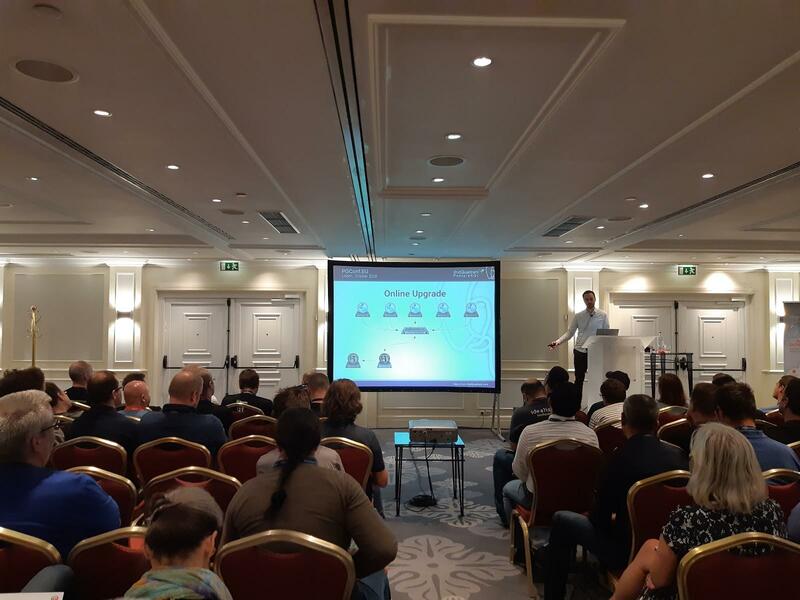 The presentation was given by Amit Kapila (EnterpriseDB) one of the main authors of this new technology which aims to be eventually integrated into the PostgreSQL core as an alternative kind of heap. This will be integrated with the new Pluggable Storage API in PostgreSQL, which is going to support multiple Table Access Methods (in the same fashion as the various [Index] Access Methods covered in my first blog). changes happen in place. Old versions are no longer kept in the data files. This will bring PostgreSQL on par with MySql and Oracle in this regard. Achilleas Mantzios is a Guest Writer for Severalnines. He is a DBA, System Architect, and Software Team Leader with more than two decades working in IT. His primary interests are systems engineering, performance tuning, high availability. He has been working with Unix/Linux for 30 years, he has been using PostgreSQL since version 7 and writing Java since 1.2. He owes much of his energy to his wife and his two children. When he is not typing SQL commands he enjoys playing his (5!) guitars in a round robin fashion, or repairing things in the house.